Many multisite leaders and church planters feel strongly called to a local vision to love their neighbors, be part of the restoration of a community, attract those who need relationship, and be “incarnational” in reaching their city or region. Generational shifts in the way Christians live out their faith underscore the relevance of this vision, and multisites and church plants are uniquely suited to meet some of these needs. 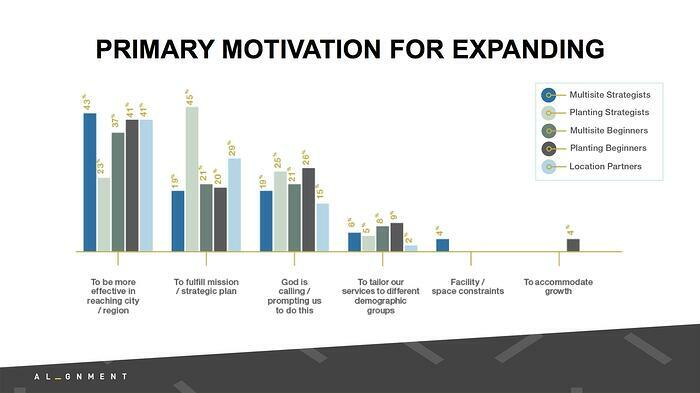 Brooke Hempell, VP of Research for Barna Group, connects some of the findings and best practices uncovered in the More Than Multisite study with other Barna research to give leaders a clear picture of how multisite churches can love their neighbors well. As we learned through the More Than Multisite study, the model of church growth has evolved from megachurches to multisites, church plants, and beyond. Today, it's a hodgepodge of hybrids of different models. It looks different for every church because each church’s mission is different and the “markets”—neighborhoods—they are serving are different. Each church is going to contextualize to its unique gifts, skills, and situation. Although their tactics vary, most of the leaders we interviewed for the More Than Multisite study indicated they were actively trying to reach a specific neighborhood or were responding to a specific calling they had to reach an area with the gospel. 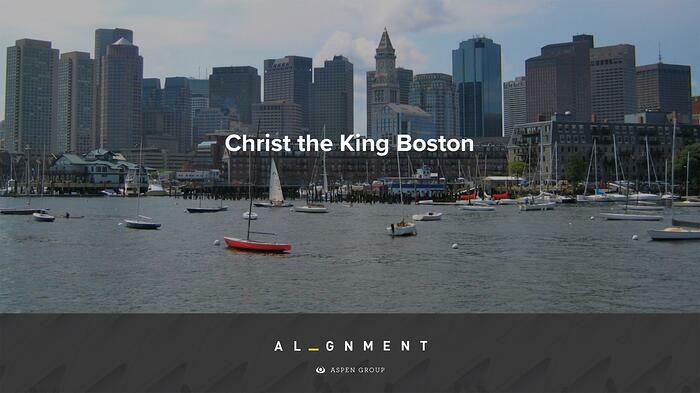 Christ the King (Boston, MA) started as a single church in Cambridge, and then they planted a church. Once they experienced what it was like to plant a church, they decided to plant another site in a different area of Boston. Curious and sensing fresh momentum, they knew they wanted to learn more. They trained one of their pastors to go and study other multisite churches and methods. Once those lessons were brought back to Boston, they created their own network. Christ the King’s model focuses on having a central organization that provides resources and leadership training for churches. They have a unified preaching plan so everyone is speaking on the same weekly topic, but every church has its own campus, or local pastor. They call it church planting, but it also looks like multisite. All of the churches wear the Christ The King name, but this model gives some authority to each church pastor to own the local culture. The vision and heart behind the central organization is to keep the ministry neighborhood focused, with the goal of planting a church in every Boston neighborhood. Because of its longevity as a city, Boston has many deeply entrenched neighborhoods with distinct personalities. Christ the King has identified these areas and they are praying for emerging leaders who want to go and plant a church in each of these dramatically different communities. Their main goal is simple—to bring the gospel in local context to each of these neighborhoods, and to do it well. They don't want to compete over territory. They don't want to superimpose their DNA on a neighborhood in a way that doesn't make sense, but instead to make their church, the physical church, express the neighborhood. In Newton, which is a beautiful historic suburb, they approached an older church in decline and established a new community there, in a beautiful New England-style church. This ended up being an enormous blessing to the neighborhood, plus it showed that the church cared enough about the area to invest locally. At their Jamaica Plains/Roxbury location, they created something completely different. This community has more of a laid-back culture with many local artists and warehouse-style environments. Again, they have the same church DNA but different local expressions. Christ the King worked with artists who invested a lot of time in bringing beauty to a neighborhood that was in some ways lacking, and it benefited the community as a result. In each case, the physical expression of their church reflects what the neighborhood values, which required the church to start by seeking to understand the neighborhood. Mark DeYmaz with Mosaic Church (Central Arkansas) decided to invest and breathe new life into an abandoned strip mall, which included a Kmart store that had been empty for a long time. The surrounding neighborhood had also declined and was not a pleasant place. Mosaic Church’s vision was to bring renewal to the neighborhood as a whole, which meant not only repurposing the Kmart store as their church building but also redeveloping the strip mall. They also decided to build office space to rent to local businesses. Because the church invested in the area and made it an attractive place to be, it’s thriving. Mark shared more about his vision: "I want to be a good landlord. I actually want to show people what it's like to lovingly run a business." Mosaic Church illustrates a unique approach to a church’s mission and community ministry—to be involved in the economy of a neighborhood that was struggling to thrive. Clearly, this is a different calling than many churches are comfortable with, but it’s one that Mosaic is very clear on. They shared that their goal is not only to put money into their building but also to invest it and send it back out into the community to help produce jobs and tax revenues along with inviting other businesses to locate in the neighborhood. Church of the Highlands (Birmingham, AL) began with one church and 350 people in 2001, and now they have thousands of people worshipping all over the state of Alabama, plus they have developed a leadership training center to support and resource other churches. Their strategy of investing focuses on being a catalyst not only for spiritual but also physical renewal within a community. It’s not just about attracting people, or even serving people; it is about helping to change the fabric of the neighborhood. One of the neighborhoods they invested in was in the urban center, a historic neighborhood called Woodlawn. The community was ravaged economically and struggling. The church wanted to go in and support and minister to those in need in the neighborhood, but they didn't start by setting up shop. First, they invested in the community by acquiring an old firehouse that was on the National Register of Historic Places. They completely refinished it and made it beautiful. From this location, they are able to serve the whole community. They also built a medical center where they offer health services for people in the area. They invested in the physical community and that was part of their goal. Now, in every city where they're operating, their hope is to have a Dream Center where they go and embody the restoration of the community. This church was also one of the pioneers in that neighborhood, along with several other foundations, who joined together and started a community association to begin investing in the redevelopment of the neighborhood, and it's truly turning around. David Kinnaman, president of Barna Group, will share more data on how churches are building for community impact at Aspen’s Alignment Conference on October 16, 2018, at Community Christian Church-Plainfield, IL. Barna Group’s Senior Vice President of Research, Brooke Hempell, manages the firm’s research studies, from semi-annual polls that track the pulse of Americans’ beliefs and practices, to custom studies for para-church ministries, denominations, businesses, and non-profit organizations. Through this work, Barna helps leaders gain insights into faith groups and the general population’s perspectives on faith and cultural issues. Prior to joining Barna, Brooke led market research engagements for clients in the pharmaceutical, financial services, and retail industries for more than 15 years. She earned her B.S. in Business and Marketing from Cornell University. Brooke is active in church planting and racial reconciliation ministries and lives in Atlanta, GA.